When discussing the venerable tobaccos of days gone by, it’s tempting to fail into the trap of comparing the new with the old, the what-is with the what-was, lamenting the passing of old faves, and sometimes lambasting their current caricatures. It’s fun. We all do it. But, is it really fair? Memories are interesting things. We can close our eyes and often bring up images of the past in what seems to be vivid detail. The more intense or novel the original experience, the more emotionally involved with it we were at the time, the more easily we can recall it, and the more details we’re likely to paint on today’s canvas. But, how much can we trust those memories? Like the fisherman’s tale of the one that got away, each time we tell the story, even if just to ourselves, we’re likely to embellish it slightly. Over time, those embellishments can become inseparable from the original reality, making it difficult to discern fact from our newly improvised fiction. 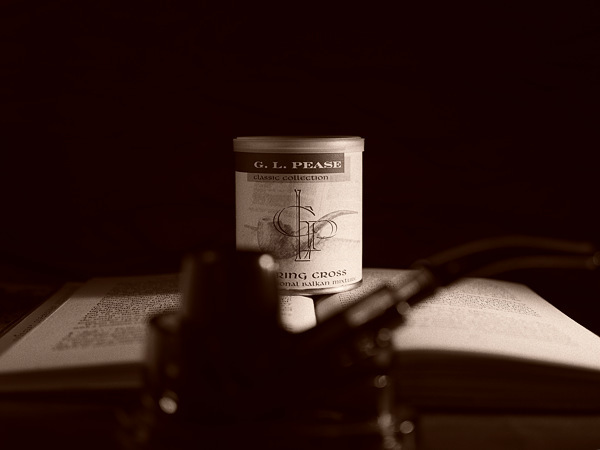 Those of us who have been around this pastime for a while have seen many tobaccos come and go, and it can be delightful, when the opportunity is presented, to revisit vintage blends that we may have tasted in their youth. It’s part of the fun of this strange journey we’re on. Those old tobaccos have the benefit of age behind then, with all the subtle nuances and added complexity that time’s magic has worked. 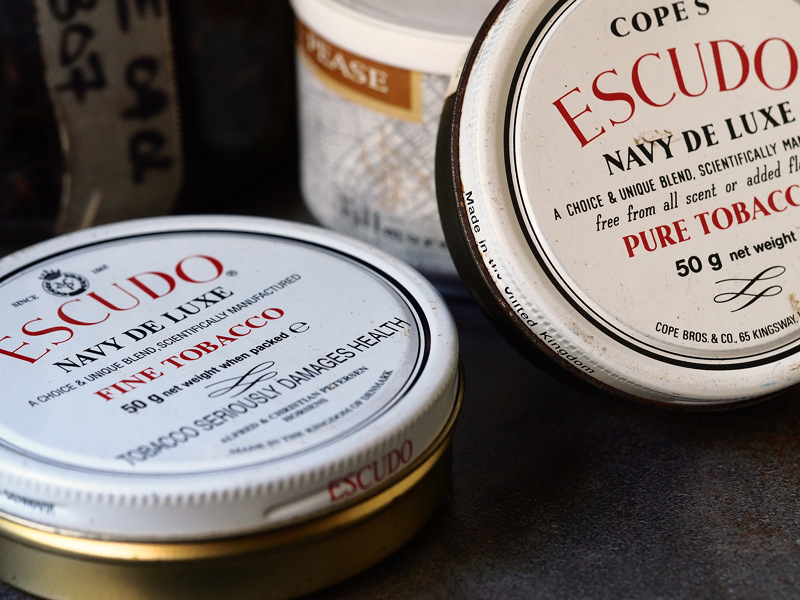 When we first open those tins, old memories are brought to life, and we can find ourselves lulled into the notion that we’ll be able to experience them anew. This almost never works quite the way we think it will. Over the years, formulae can change, the component tobaccos, being subject to the whims of nature, may have evolved. It’s tough enough with a blends that have been in continuous production by the same factory, but seas become rougher if the blend has been licensed to a different manufacturer. Combine the changes in the new with the evolution of the old, and it can really be like apples and pears. It’s the last day of January 2019 already, and as is increasingly true with the passage of time, it seems to have arrived far too quickly. I’ll start by getting the obvious something-in-the-room out of the way. Yes, it has been a very long time since I last updated the Chronicles. Though I’m tempted to attempt baffling my five or six remaining readers with lots of semi-plausible excuses for why I haven’t done anything with it, it’s probably best to dispense with that and just say that I hope to be updating this more regularly, again, and will probably take it in some new directions as it goes along. We’ll see as the year rolls on. There will be longer and shorter things, and probably things that can best be described as photo essays. One thing that will NOT happen in the coming months is the emergence of a GLPease uSnooze channel. I still believe in the written word, and there’s more than enough video rubbish for people to wade through without my contributing to the mire. With those potatoes out of the way, it’s time to press the “Boldly Go” button, and get on to the meat. A couple weeks ago, I thought it might be a fun to embark on a little art project, revisiting the original sketches I did for the labels of the Classic Collection, recreating them photographically as best I could while making room for a bit of artistic license. Of the six pipes that originally modeled for the labels, five are still in my collection, so it would be mostly pretty straight forward. Get the pipes out, gather the appropriate props, decide on the lighting design, and get to work. Those five would be easy. The sixth, though. That pipe was a Sasieni 8-dot army mount bent billiard. It left my collection years ago. Fact is, I’m not really a bent-pipe guy, generally preferring stems that are either straight or with a very slight curve, so I didn’t have many applicants to choose from when recruiting the Sasieni’s understudy. But, I did find, amongst my GBD hoard, a lovely silver spigot that I’ve never been able to bring myself to part with. It offered, graciously, to stand in for the Sasieni, as long as it would be presented in such a way as to remain in relative anonymity. I agreed. In the final image, it actually makes perfect sense. Shot in the shadows with the lens wide open, the blurry suggestion of the pipe serves as a reference to the one that got away, as a tribute to it, while still fulfilling my desire to reimagine the original sketch. It is with deep sorrow that I share some sad news. 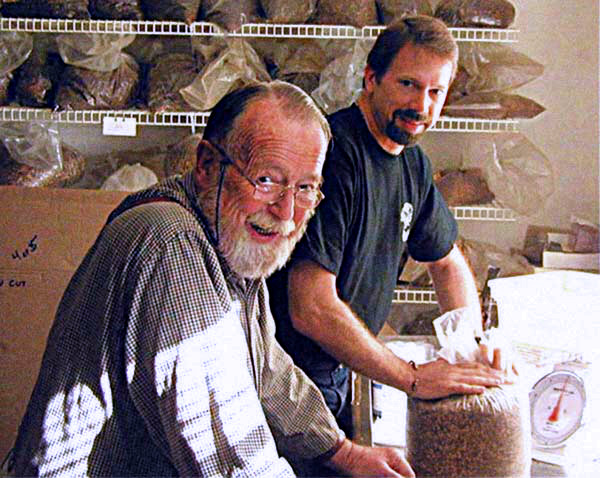 Craig Tarler, beloved friend and colleague, passed from this earth today at the age of 82. I’ve spent much of the day in contemplation, trying to figure out how to process this, and much of the evening drinking in a feeble attempt to dull the sharp edge of loss. None of it has worked, and I’m having a hard time finding words. Our relationship over the past 14 years has been more than just business, and more than just friendship. He and Patty have been very much like family to me. We’ve shared a great deal through those years, have been through some great times together, and some rough ones. We’ve collaborated on blends, and helped each other with business decisions. We’ve laughed a lot, and endured each other’s bad jokes. We’ve talked politics and religion (things you can only comfortably discuss with those you know will forgive you afterwards), concocted schemes, solved the world’s problems, fought like cats and dogs, shared our dreams, and all the other things friends and families do when they know it’s safe to do so. When I was younger, an overly enthusiastic young bull wanting to charge down the hill, he taught me to slow down a little, walk down and “get ‘em all.” (Those who knew him may recognize the punch line from one of his favourite jokes.) I am indebted to him for all the help he’s freely given over the years, in business, and in life. He could be a real curmudgeon at times, but he always had a heart of gold, and I will miss him deeply. Requiescat in pace, old friend. May your star shine brightly, and your pipe always be sweet. For years, I’ve collected estate pipes, appreciating their history, the value they represent, and lamenting the fact that some of the old marques are just no longer of the same quality they once were. Generally, I’ve had excellent luck bringing old pipes back to life, restoring them to their former aesthetic beauty, and enjoying some wonderful smokes in them. 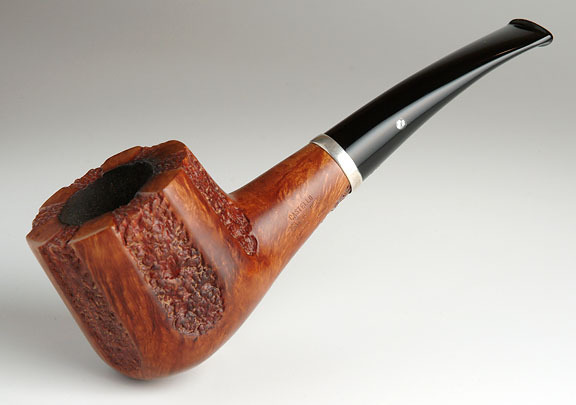 Sometimes, though, a pipe that can be made beautiful may not end up being a good smoke. There are myriad reasons for this, some having to do with the way the pipe was cared for by its prior owner. If the shank is coated with a thick residue of tars, if the bowl is soured, if the cake is too think, too spongy, the pipe won’t smoke well. Fortunately, these afflictions are easy to remedy with the proper application of some alcohol, some pipe cleaners, and a good reaming. As I write this, I’m puffing on a Castello filled with one of the two limited edition blends I did for the 2011 NASPC show. It’s the eleventh year I’ve had the privilege of doing this, and it continues to be a real honor. Working with John on the concepts and creating the blends is always fun. But, it’s not without its pitfalls. When one of the blends is particularly exciting, at least to me, knowing there will only be a couple hundred tins of it can be a little vexing. I really like this one. Of course, I’ve got a few tins of the prototype, so it’s not like I won’t be able to enjoy it for a while, and save a tin or two for years to come. So, what’s the problem? “Matters. Is that the intransitive verb form of the word, or the noun form?” It’s both. I need to rant. Just a little. Sometimes, I’m told, it’s good for the soul, and I’m hoping this will be one of those times. 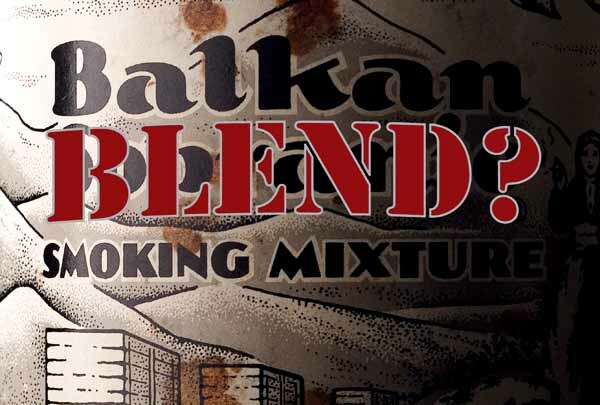 What is a Balkan Blend? In the on-line pipe communities, there is often passionate conversation about the classification of blend types, and in these discussions, the most impenetrable clouds of mystery seem to swirl around those blends containing Latakia. What is an “English” mixture, and how can one be distinguished from a “Balkan” style blend? The problem is that both of these terms, despite broad usage, are somewhat ambiguous, at best, and, worse, the commonly held notions of what they mean is just plain backwards. And, yes, I’ll admit up front to being one of the early champions of this wrong-headedness. What? Read on. The good news is, JackKnife hit the shelves of one close-to-the-source retailer a week ago Friday. The bad news is, they sold out in less than an hour. More bad news is that inclement weather, by way of snow storms, kept folks out of the factory for a couple of days, which held up shipments. But, fortunately, there’s more good news, too; the shipments will begin going out regularly tomorrow, and many retailers will be getting theirs soon. I hope. I’ve heard rumours of a torch and pitchfork brigade forming, and I’ve been a bit lax in the maintenance of the fortifications. This article was originally written for the now out of print Pipe Friendly Magazine, where it was published sometime in 1998, in Vol. 5 No. 2 of that magazine. I then republished it in the Articles section of the G.L. Pease website. I’m gradually moving those articles here where they can be searched, annotated, commented upon, and kept in a single archive. I figured this was a good one to start with. 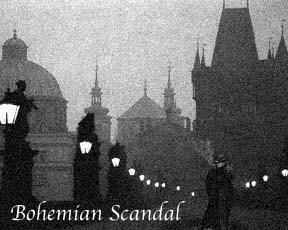 A lot has happened since this originally appeared, including the loss, again, of Syrian Latakia, the subsequent “discovery” of some wonderful, vintage leaf, the creation of the almost legendary Bohemian Scandal, and then, my supply of that magnificent tobacco’s early demise in a tragic warehouse blaze. Today, there are a few tobaccos claiming to use Syrian Latakia, and fewer that actually do. I should probably make a major revision of this, and may in time, but for now, it is presented as originally written. As you read, please keep in mind that it was originally penned about 12 years ago, and much has changed! As 2010 comes to a close, and with it the first decade of G.L. Pease (hard to believe!) I’d like to thank everyone for their wonderful and loyal support throughout the years, for all the kindnesses shown through hard times, and for the friendships that have been made as a result of my little tobacco venture. It’s been a wild ride, for sure, and a fun one. I’m looking forward to 2011, and to the beginning of our second decade. There are some exciting things in the works, including the upcoming JackKnife Plug, and many more in the planning stage. If it’s half as fun as the last ten years has been, it’s going to be a blast. 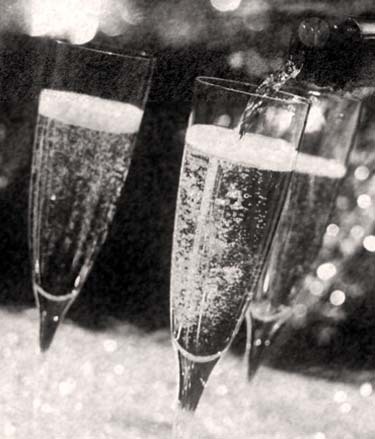 Wishing everyone a safe, happy and prosperous New Year! See you in 2011. It’s time to lift the veil of suspense. A lot of you have been really close with your guesses, some, frighteningly so. (I scanned my lab for hidden cameras and checked my phone for bugs, and found nothing. I’m beginning to wonder if you guys are into remote viewing or something.) Now, it’s time for the reveal. What you see in the photo is the final production prototype of the new blend as it comes, and hand-prepared three different ways; sliced, sliced and rubbed out, and cube-cut. The blend comprises both bright and red flue-cured, and dark-fired kentucky leaf. What’s unique about this plug is the way it’s made. The dark tobaccos surround a central core of the brights. This is not just a cosmetic choice. By producing it this way, the slightly zesty sweetness of the golden tobaccos is less influenced by the earthiness of the darker leaf. They still interact with one another, of course, but there’s a purity to the bright’s flavors that gets muddled if it’s just mixed in randomly with the rest of the leaf. The difference is subtle, but certainly noticeable. It’s more labor intensive, requiring more care and precision to do it this way, but the results are absolutely worth it. 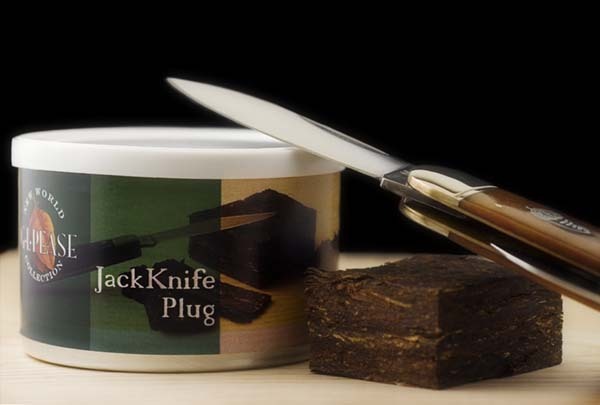 JackKnife Plug isn’t a casual smoke, at least for me. There’s enough strength in those blocks to deserve serious respect. But, the taste and aroma are fantastic. 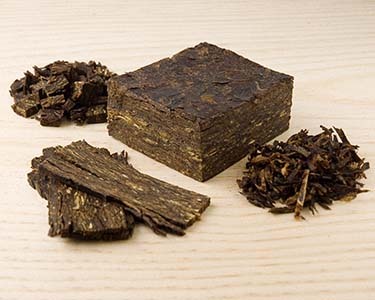 JackKnife Plug - dark-fired Kentucky leaf and ripe red Virginia tobaccos, with their deep, earthy flavors, are layered on a central core of golden flue-cured for a hint of bright sweetness, then pressed and matured in cakes, and finally cut into 2oz blocks. Slice it thick and rub it out for a ribbon cut, thin for a shag, or chop it into cubes. The choice is yours. JackKnife Plug is the first blend in my New World Collection. I’ve got some other goodies planned and in the works, so stay tuned for more. Now, I’m just waiting for label proofs from the printer, so I can make final adjustments there. Production has been scheduled, and we’re looking forward to a mid-January availability. And, there will be some new things coming for the Old London Series later in 2011, as well. I’ve just gotten off the telephone with C&D. We’ve been working on a couple of things, and Chris rang to tell me the latest prototype of one of them was being shipped out today. I’m having a hard time containing myself—this is really exciting for me. And, I’m not going to tell you what it is. I’ll say just a little. Up to this point, this has only been an idea. I’ve done some experiments, explored different components in the blend, gotten the proportions of the various tobaccos close, but until this new sample arrives, I have only a hint how the final product is going to look, taste, smell. And, I can’t wait. I’m hoping it’s going to at least approach expectations. This is something rather different from anything I’ve done before. The combination of blending components is a little different for me, and the production methods are different, and the result, I hope, is going to be very different. And, there’s the very real possibility that it might be a complete flop. It wouldn’t be the first time I’ve had a wild hare in my bonnet (metaphors intentionally mixed to protect those with more delicate sensibilities) before, have spent weeks in development, only to emerge from the other end of the tunnel with something almost completely wrong. Of course, these times are not wasted. Often the greatest knowledge comes from experiments gone wrong, so I take my notes and move on to the next thing. And, no one, until now, ever knows about these less-than-successful attempts. But this is so different, and so exciting, I just can’t help but share some of my enthusiasm. Even though I’m still keeping secrets. I’ll try to be patience, awaiting the arrival of my parcel from North Carolina. It’ll probably need a little adjustment before it’s really ready to go into production, but that’s the way of things. I’m just hoping it’s not a complete flop. If it is, you’ll probably never read another word about it. If not, watch this space for developments! P.S. No latakia in this one. None. Not a trace. All Content Copyright © 2019 - G. L. Pease. All Rights Reserved. Use of images or text without express permission is prohibited.